Jacket: She In c/o (only $34!) | Tee: Target | Denim: Mott and Bow | Shoes: Jeffrey Campell also here and similar style here | Bag: Target | Sunglasses: Ray Ban | Watch: Marc Jacobs more colors here, here, and here | Choker: Made By Mary | Crescent Bar Necklace: Made By Mary | Lipstick: MAC in "Rebel"
I always have these weird current obsessions that I get on for a couple weeks or so. Anyone else? Well, right now it is denim jackets. They have come a long way and I am loving all the different styles coming out. Even more excited that the weather (hopefully) will be cooling off so I can wear them! 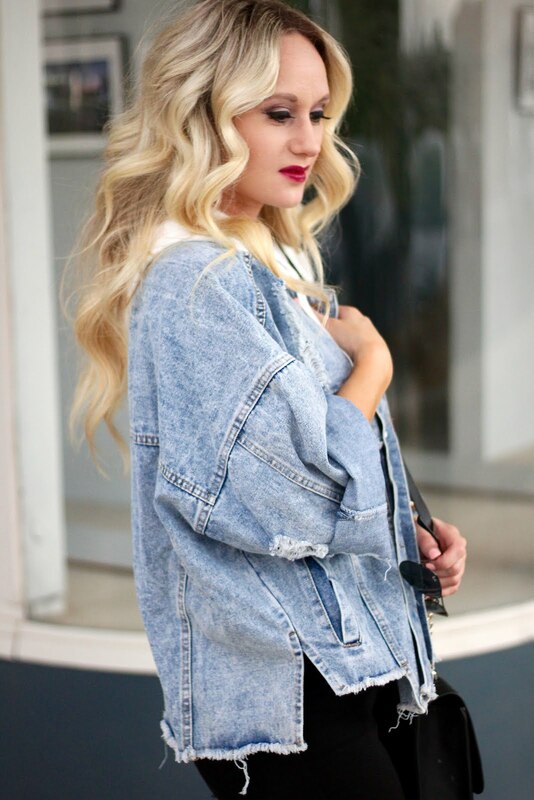 This denim jacket gives me all the heart eyes! I love that it has some distressing with the raw edges so you can style it so many different ways! You can throw it on with some leggings and tennis shoes, or even wear over work out clothes. You can even dress it up with a dress and some boots. I also love that it has a hood on it, so cute! 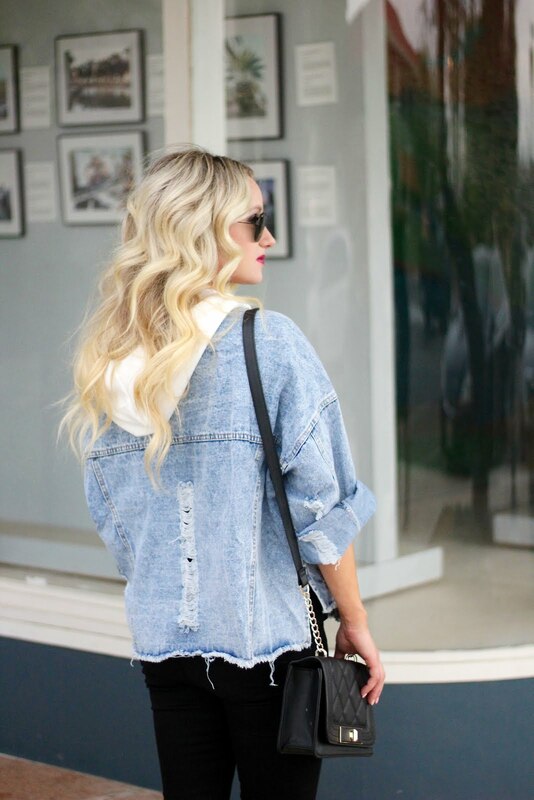 I recently rounded up my favorite denim jackets here and I think the most expensive one is like $36.